When it comes to car buying, each journey differs from the next. Some journeys will be exciting, others you may find daunting and tiresome. At Okotoks Honda, we strive to ensure that all of our clients have the most enjoyable and hassle-free experience. As a result we are thrilled to be ranked as the #1 Google rated and reviewed Honda dealer in Canada! As the years progress, buyers are becoming increasingly knowledgeable with products available in the marketplace as well as value services offered by individual dealers. As a result of this plethora of information in the online world consumers are spending less time than ever before when purchasing new or used vehicles. Below are the stats from the Average American buyers from 2018 to 2017. 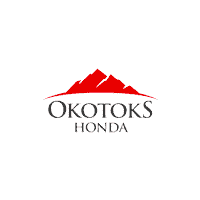 At Okotoks Honda, we do our best to streamline the buying process even more by providing all of the facts pertaining to vehicles of interest upfront and in the most transparent manner. Our knowledgeable staff and interactive website are fully trained and optimized to disclose information to our prospective customers with ease. Many buyers are undecided at the start of their shopping process; in fact, only 33% of buyers know what they want right from the get go. This is where we come in – to educate and assist throughout the entire process. 56% of the buyers have previously owned the same make. At Okotoks Honda, our customers are very loyal (and vice versa), 85% of our buyers have owned vehicles purchased from our dealership. Whether you’re a new client or existing loyal customer, our priority is your satisfaction. Through our tailored processes based on your individual journey, your experience will be nothing less of efficient and effective. Where industry average states that the average length of purchase can take up to 3 hours, our dedicated Product Advisors can scale this down to an average of 1.5 hours without compromising product detail and consumer confidence. We invite you to make the short trip to come and visit us at Okotoks Honda to discover our difference and see for yourself why we are the #1 Google rated and reviewed Honda dealership in Canada!